The BIAS Metal Signature Pack lets you unlock seriously crushing signature high gain amplifiers created by Jeff Loomis, Ola Englund and Keith Merrow. On top of that, you unleash six signature pedals: The Loomis and Merrow Signature Overdrives, Loomis EQ, Ola Delay, Merrow Noise Gate, and Ola Chorus. The Metal Signature pack is a stunning addon to deliver searing, high gain tones to the masses. The BIAS Bass Expansion Pack is perfect for 4, 5 and 6 string guitar players alike. 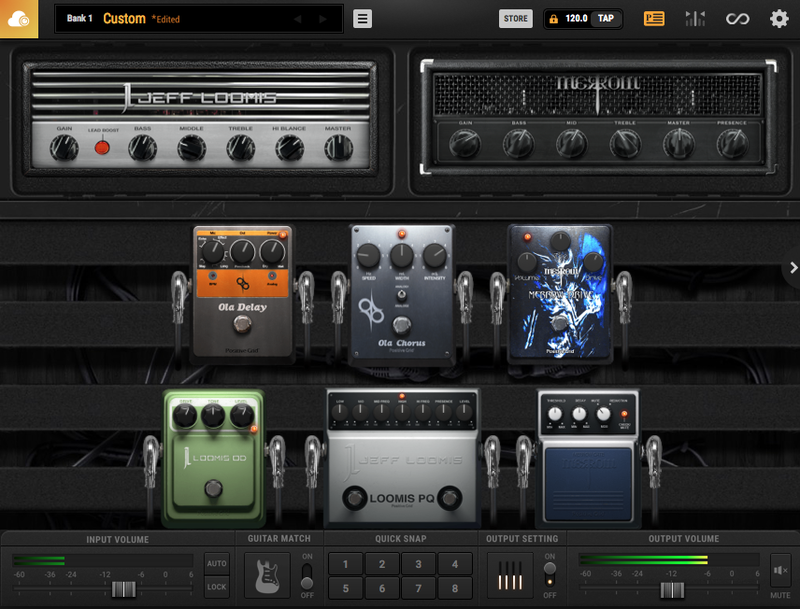 Includes 7 bass-focused stompboxes: the Bass DI Driver, Bass Deluxe Driver, Bass EQ, Bass Compressor, Bass Chorus, Bass Octave and Bass Envelope Filter. The Bass Expansion Pack will - without a doubt - take your bass tone to the next level. The BIAS Acoustic Expansion Pack provides unique acoustic imaging technology within BIAS FX, allowing you to accurately emulate different acoustic guitar pickups. Gain access to our premium Acoustic Preamp Rack plus our Acoustic EQ, Acoustic Reverb, and Acoustic Chorus pedals to add warmth and resonance to any guitar in your arsenal. The Official Celestion Modern Vintage pack gives you even more tonal versatility by adding five Celestion speakers to your existing cabinet arsenal. Includes official licensed Celestion G12H-75 Creamback, G12M-65 Creamback, Neo Creamback, G12H-150 Redback, and A-Type speakers, plus three configurations: 1x12, 2x12, and 4x12. The Neo Creamback has been created using a neodymium magnet assembly, making it around half the weight of a traditional ceramic magnet speaker. Not only did the newly designed magnet assembly result in a speaker that easily delivers a Creamback-style tone, it also adds a little extra magic all its own, that’s sure to set pulses racing. AC/DC’s Angus Young is just one of a legion of players who have always loved the distinctive break up and glorious midrange crunch of the Greenback. With the official Celestion G12M Greenback impulse responses, you can unlock the sweet, saturated guitar tones that defined rock music throughout the 1970s, direct from your desktop DAW or amp modelling hardware. Ever since the creation of the Celestion Blue, guitarists have been in love with the rich, seductive sounds of alnico guitar speakers. And for those hooked on discovering the richest vintage alnico tones, but looking for a different flavour, the Celestion Cream could be the perfect choice. Yes, it brings a glorious, laid-back attack, exuding the same warm lows and brilliant bell-like chime. When the T.530 G12 radio speaker was reinforced, painted blue and loaded in an AC30… a legend was born. It became the Celestion Blue, with a characteristically mellow midrange, complemented by scintillating highs, all soaked in gloriously musical, alnico compression. From the Beatles to Queen to U2, the Blue has been an essential part of the tone of giants.